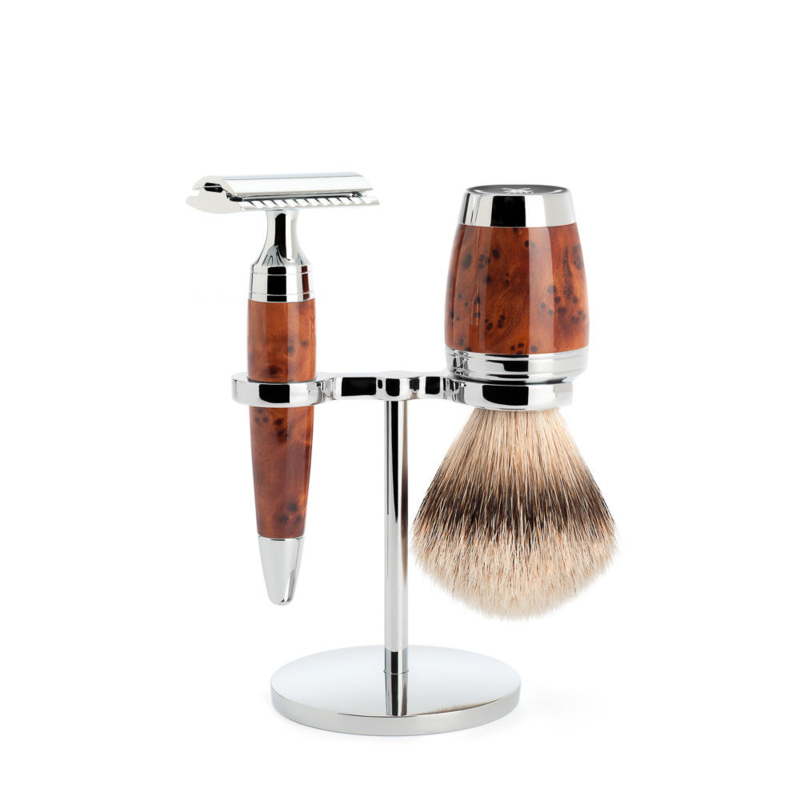 Muhle Stylo Shaving set Thuja wood safety razor. This set is made of Thuja, being an African hardwood. This wood is one of the most desirable in the world. Due to it’s almost shimmering. The wood is only taken from a fallen tree, and only the burl used. 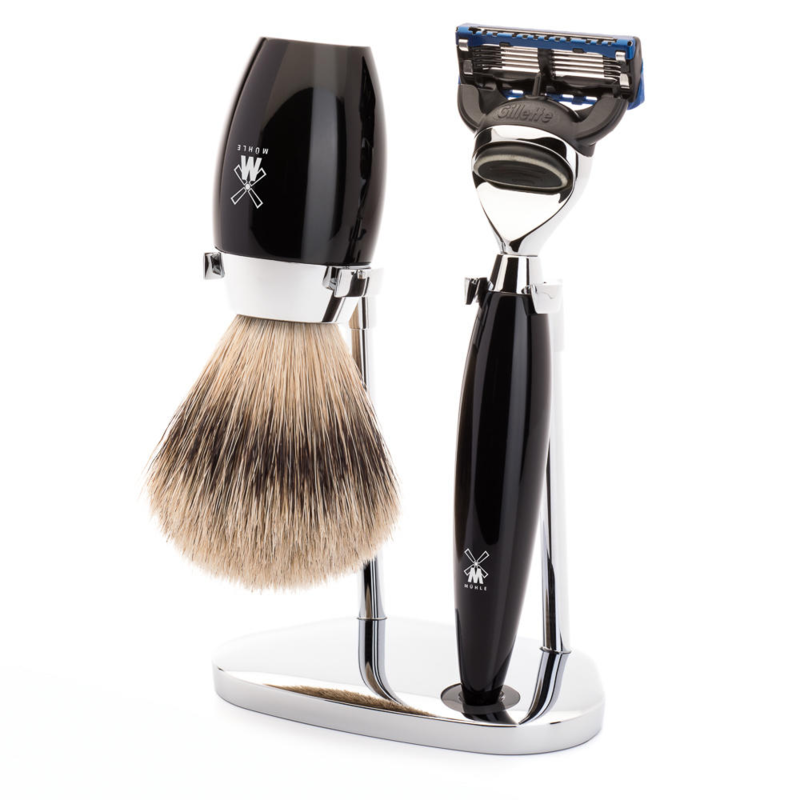 The Stylo razor design is a work of traditional shaving art. The stand compliments it’s concave with it’s unique shape. This is truly a beautiful set. All metal components are high quality chrome. 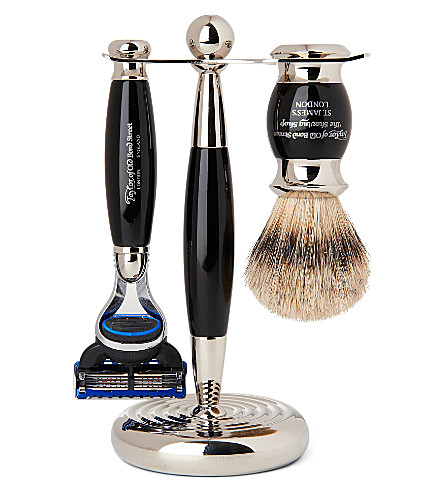 The shaving brushes hair is the finest silver tip badger topping off this remarkable piece of shaving luxury. The razor comes In several part’s which are easily cleaned. It Is also easy to replace the blade once blunt, with just one screw mechanism holding the whole razor together. All double edged blades are the same size, and are readily available from us or any high street chemist will have a brand In which they are loyal too. Shaving technique is Important with safety razors. I would recommend small strokes as apposed to the larger strokes, you might use with a mach3. 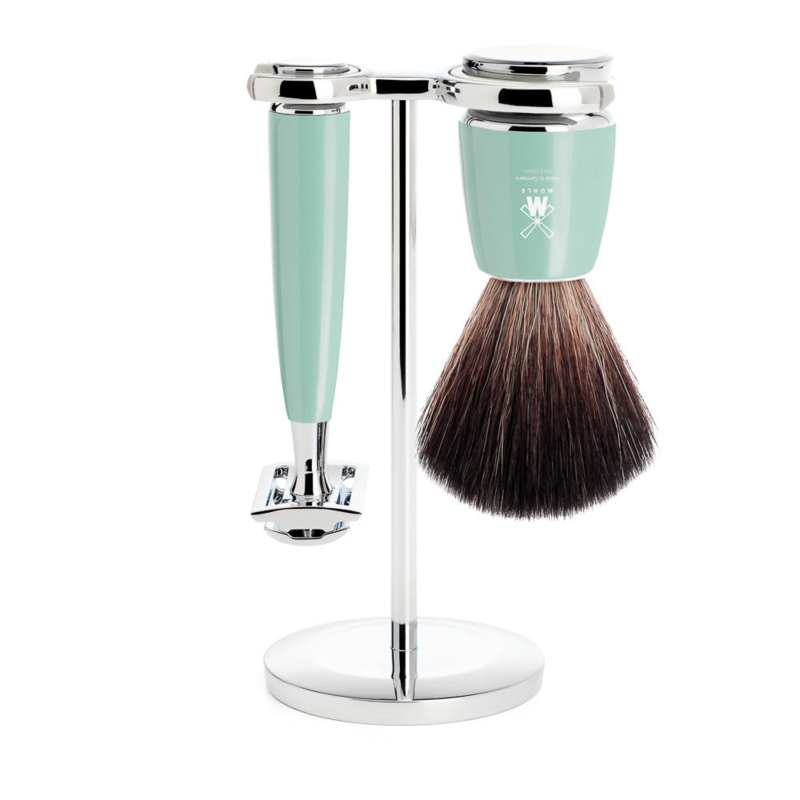 The Muhle Stylo traditional Shaving set Thuja wood safety razor, Is a wonderful gift. The presentation box is also very eye catching. Whom ever would receive this as a gift would be extremely lucky Indeed. Muhle are an old traditional shaving firm from Germany there product range Is high end. Edward’s Is lucky enough to be an official retailer. We have over a hundred Muhle Items and not just sets, we sell singular Safety razors and shaving brushes. In keeping with tradition we have badger brushes of all grade, we also have synthetic brushes which are of a high quality. We also sell there ever popular shaving cream range, which are totally natural, and there is even a new organic range. Please contact us directly for any advice on the rest of our traditional shaving range.